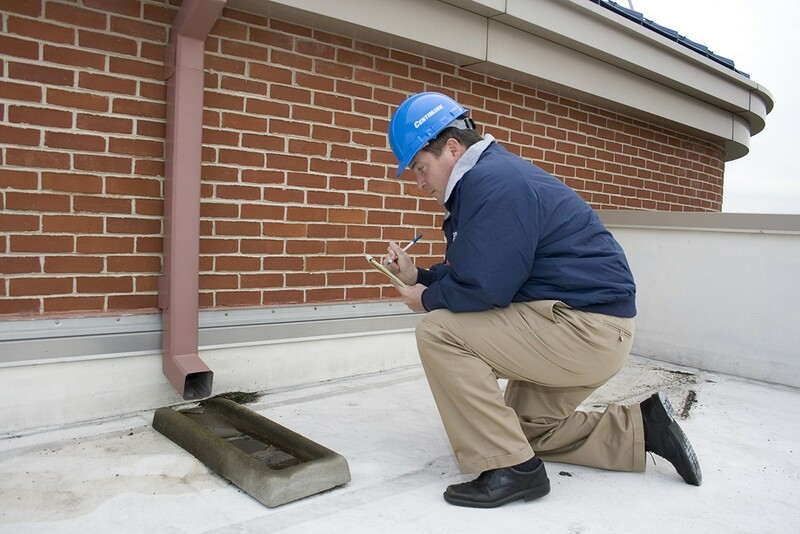 Springtime for property managers and owners creates a sense of urgency around roof inspections and maintenance work after difficult winter weather across the country. Following the snow, sleet, ice, winds and temperature fluctuations (freeze/thaw), comes the rain, sleet, hail and wind of spring weather. These weather related issues can not only lead to roof leaks, but to other problems that may compromise or cause failure to your roof system. Additionally, your roof needs to be inspected and maintained to meet the requirements of a roof warranty. The beginning of fall means winter is right around the corner which can bring harsh weather for your roof. In addition to being one of your building’s most valuable assets, your roof can also be one of the most vulnerable. Even the strongest and most durable roof can have some weaknesses. Without a proper roof inspection in the fall, your roof system may be susceptible to major damage during the winter months. Fixing any issues before the freeze/thaw cycle begins will save you a lot of hassle in the long run. Fall Roof Preparation Series (Part 2): Every Building Needs a Roof and Fall Roof Inspection! For 24 hours a day, 365 days a year, your roof can be exposed to a variety of extreme weather conditions: rain, hail, sun, snow and wind. As fall begins, it is an important time to ensure your roof is in the best condition possible for the upcoming winter. 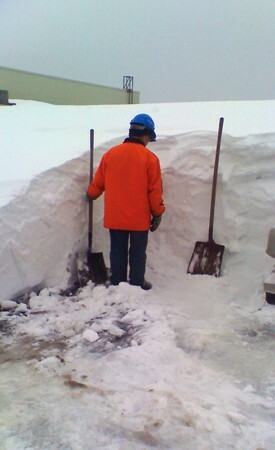 Heavy snow loads and ice buildup can put a roof system to the test. Fall is an essential time to have a commercial roof inspection. How much does Preventative Maintenance cost? Preventative Maintenance is a proactive solution to protecting and extending the life of your roof. Actually, let CentiMark clean your roof. White single-ply roofs do get dirty from debris, mold, pollution and environmental factors. To get the maximum benefit of reflectivity of the sun’s rays, improve the lifespan of the roof membrane and enhance the aesthetics of the roof, it’s important to clean your roof as a standard procedure of Preventative Maintenance. At CentiMark, we are certainly aware of the economic constraints and the restrictions for many building owners when it comes to their capital budgets. A roof really is a building’s most important asset. In addition to protecting the building, its contents and the people inside, a roof can help conserve energy, capture sunlight, benefit the environment and, ultimately, save money. 1. The first step is of the Winter Facility Safety Check List is to sign up at no charge for CentiMark's free Emergency Priority Plus Program. By doing so, you will be placed on a priority list following a severe weather emergency. The summer months brought extreme high temperatures, strong pop-up storms and high winds. This weather pattern can also bring roof damage that can cause problems once winter begins. Be proactive and minimize roofing problems this winter by taking advantage of our resources. By addressing any concerns in the fall, you are preparing your roof for the predicted harsh winter weather. Let CentiMark help you complete the items on your Fall To-Do List for your roof. Summer weather - good or bad - rain, sun, dry, hail or wind - affects your roof system. QuestMark provides our customers with complete flooring solutions. We install the floor system and provide a warranty as well as cleaning products and instructions. Additionally, we provide inspections, safety enhancements, repairs and DIY (Do-It-Yourself) products and training.